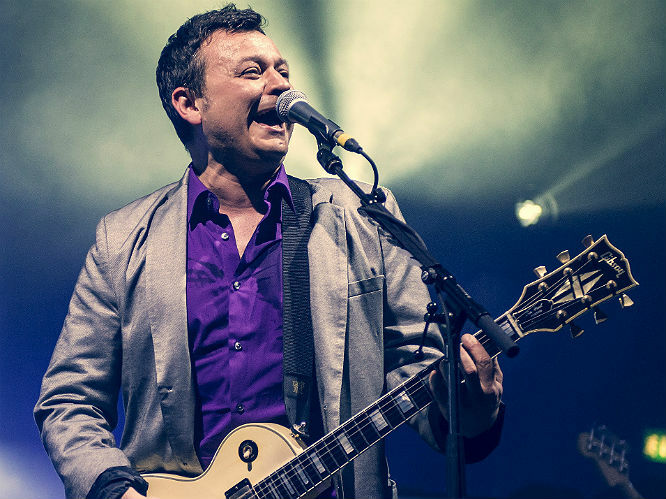 "Let's go to war," barks James Dean Bradfield at the swelling Brixton crowd. Here stand a band who have never stopped fighting - forever spitting in the face of the zeitgeist but always finding relevance. 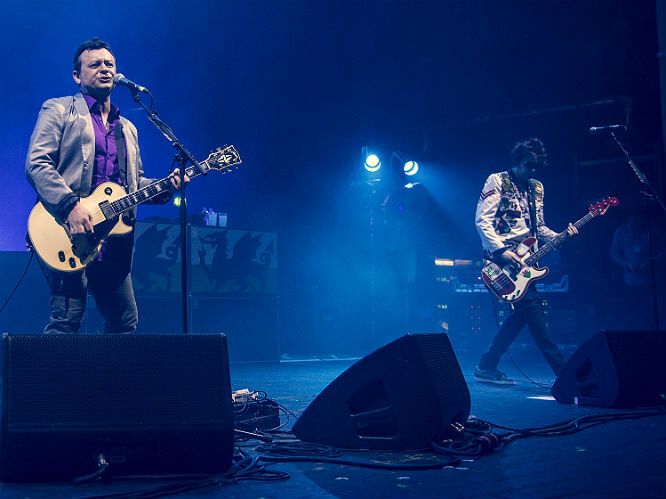 But where do the Manics find themselves in 2014? Do they still have the fire to exist on their own terms and still sound as vital as ever? When asked about what he foresaw in his future, the MIA Richey Edwards infamously once replied "'future' - that's a big scary word". Few realised those words would become such an alarming prophecy, but the band that he left behind were one with no intention of stopping the forward march. 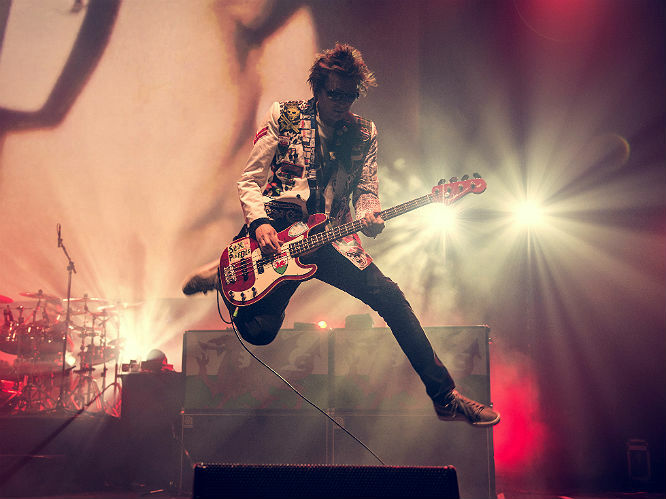 Tonight, they plant their flag in London, and from the off with the iconic howling guitar intro to opener 'Motorcycle Emptiness', there's certainly no sign of surrender. 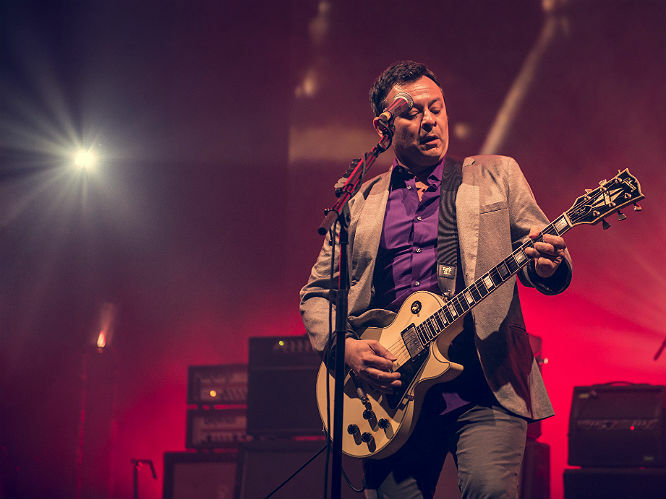 From the Kohl-eyed leopard print obsessives in the pit to the Matalan casual dads at the back, the crowd is as varied and eclectic as the Manics' back catalogue - but all are matched in their undying devotion to this band. As the summer festival bounce of 'You Stole The Sun From My Heart' slips into classic rock melancholy of 'No Surface All Feeling', the room is married in an escapist ecstasy that doesn't relent until the fist-pumping spirit of closer 'Design For Life' has died down. 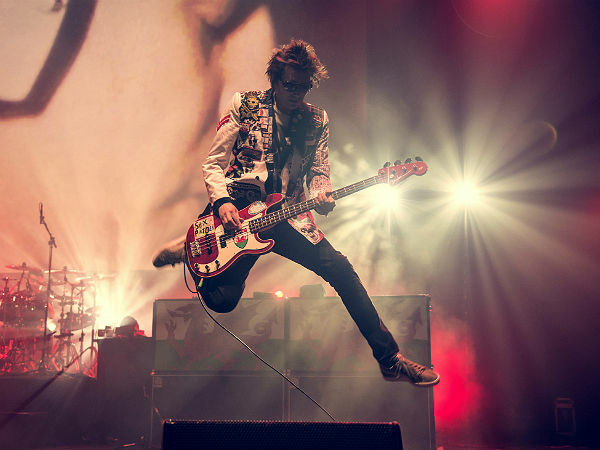 We're on our own planet, because the Manics are another world. This is best demonstrated by the new tracks from Futurology showcased tonight. The motorik kraut-rock charge of 'Europa Geht Durch Mich' is the sound of rushing down the Autobahn, in an invigorating tribute to 'European skies, European desires, European dreams, European screams'. 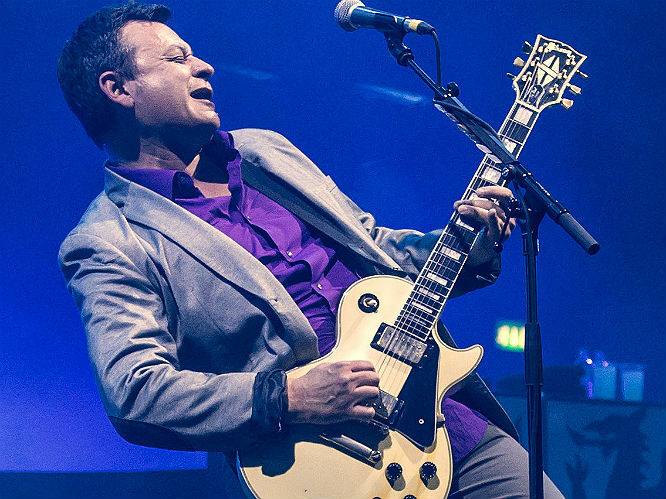 It's enough to make Nigel Farage wet his tweed trousers, but it's also an impressive and surprising left turn for a band for a band who have already gone through so many reinventions. 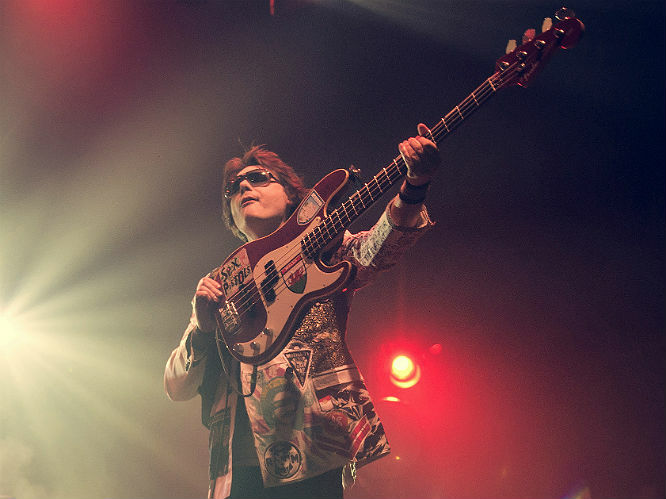 Futurology's title track is a wonderfully typically Manics slice of arena rock in the vein of tracks from Everything Must Go lifted by the punky enthusiasm of Generation Terrorists, but with a soulful Nicky Wire vocal in the chorus - while the live premiere of 'Let's Go To War' sees a fitting but bitter call to arms, with the dark military post-punk stomp of their Holy Bible era but with the stadium-ready anthemics of their latter day work. It sounds nothing less than monumental, but its similarity to the Alton Towers theme tune has also been noted. Bradfield tells the crowd that Futurology is due in June, but in truth it can't come soon enough. 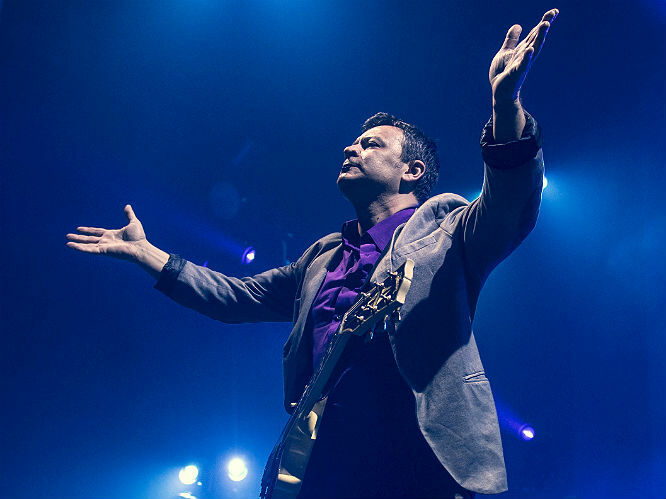 "We've not decided if we're going to play any Holy Bible gigs yet," says Bradfield, referring to this year's 20th anniversary of their seminal 1994 masterpiece. The crowd, naturally, scream in encouragement. 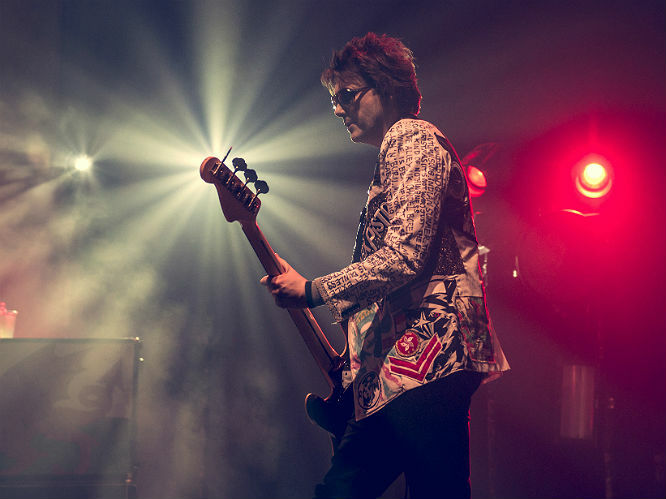 "I think that's a 'no'," laughs Wire, dedicating 'Die In The Summertime' to 'the beauty and genius' of Richey Edwards, before also indulging in an enchanting acoustic rendition of 'This Is Yesterday' and revisiting the twisted brilliance of 'Archives Of Pain'. Of course, it's an album worth celebrating, and of course they could play the album in full at Glastonbury or do a string of intimate shows this summer, but one can't help but question if the band really need to. 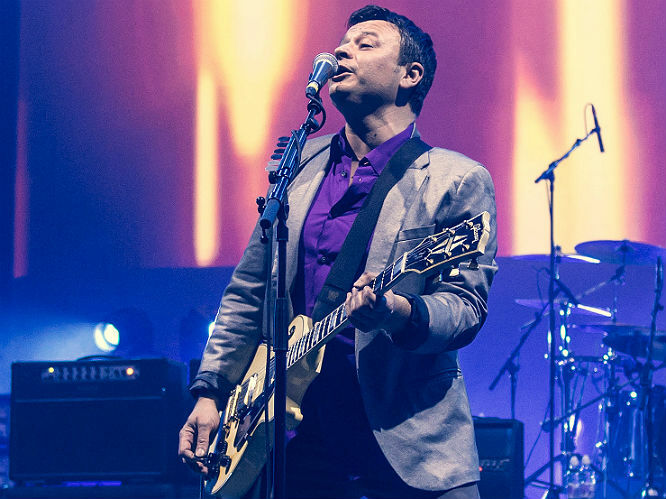 "We'll come back one day, we never really went away," soulfully pines Wire in the chorus to Futurology's title track - indeed, unlike the majority of their peers, the Manics are far from becoming a touring pantomime of hits and nostalgia. 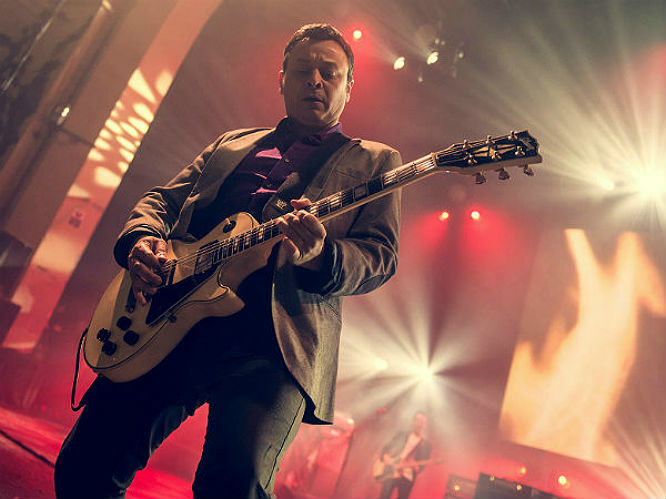 They're still creating, still evolving, and above all, Manic Street Preachers still matter - and tonight alone is proof that they always will.